Many processes exist to change the properties of steel tools and when it comes to durability, case hardening is one of the best. The case hardening process adds a thin layer of metal alloy to the outer surface of the metal. This process can minimize wear and tear and increase the strength of the steel parts’ surface. Let’s look at the multiple methods used in the heat treatment of steel. Each of these methods should be chosen based on what you will use your steel for, whether you need to harden the entire piece or a section, and the overall size and shape of your piece. No matter which method you choose, your steel parts will experience a longer lifespan and increased versatility after being treated. The extra strength that comes from case hardening your steel produces a tough outer layer (called the case) while keeping the inner core (case depth) soft enough to absorb shock. This can increase the lifespan of your object meaning fewer replacements and maintenance costs. This is also useful if you sell products with hardened steel because your customers will come to trust the durability of your product. 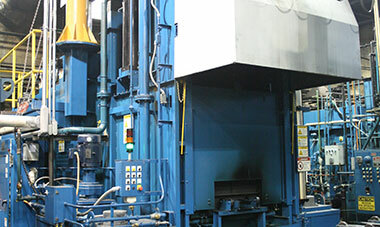 Whether you want to harden small steel tools or need to improve the durability of large, complex machinery, Specialty Steel Treating, Inc. has the experience to get the job done. Contact us at 586-293-5355 for more information or to request a quote.